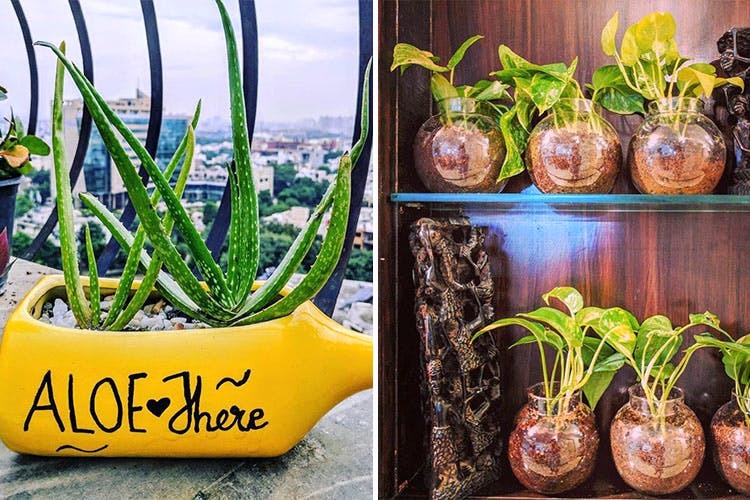 Shrub The Hub, based out of Gurgaon, has a collection of plants in terrariums, cage planters and ceramic pots. The next time you’re stuck for gifting ideas, we’d highly recommend scrolling through Shrub The Hub’s offerings. Instead of the done-to-death perfumes, ties, chocolates or cut-flowers, these plants make for more meaningful gifts. Plus, it doesn’t hurt that each of them are presented beautifully, minus the wrapping paper. Case in point—this Ladakh-inspired terrarium, so you can bring the mountains into your room, or this aloe plant in a punny planter. Still not sold? They’ve taken the very Instagrammable birdcages and given them a green makeover. They're both priced reasonably and completely charming, so Shrub The Hub’s plants make for convenient (and considerate) gifts—even if you’re just buying for yourself. Currently retailing through Facebook, you can check out their collection here. It would be nice if they had a website—always easier than Facebook.